Tested and Working as at 1/9/2010. Anyone who says it isnt working didnt do it correctly. Expand "socialciv" > expand "fb"
In City of Wonder, wait for a pop up which stats your ally needs help. 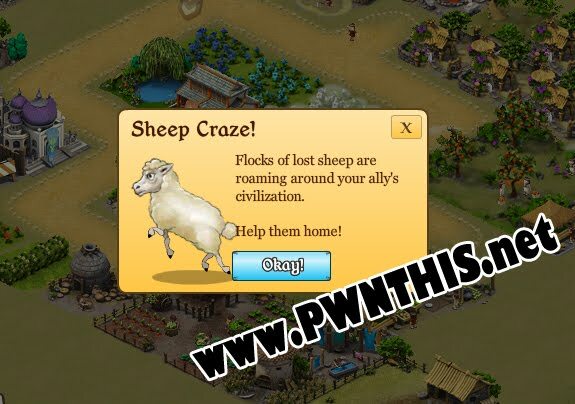 Such as a chicken run, wild boar, sheep craze pop up message as shown in the image above. In Charles, left click the last "http://socialciv-fb-web-active-vip.playdom.com/socialciv/fb/amfgw?fb_sig_in_iframe=_key96a...."
Click Request on the right window and expand "Body" and "Content". 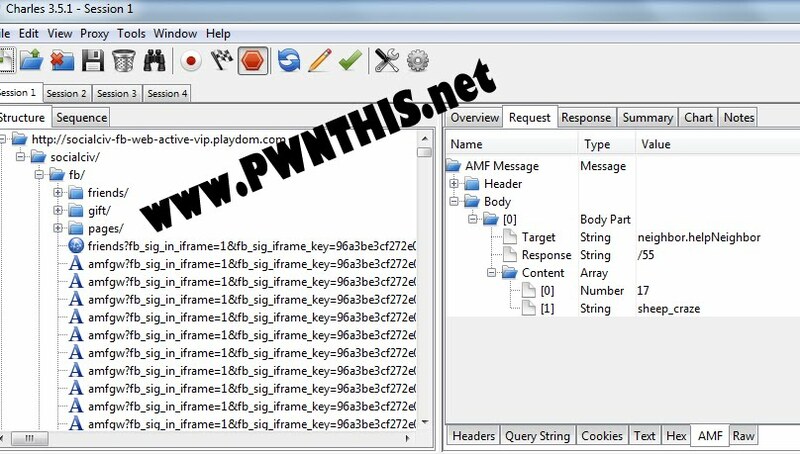 You should see a String value wild_boars OR chicken_run OR sheep_craze OR whichever event that you helped your ally. (see image below). If you do not see any of those String values, check other lines. (The same line in step 6). Once you have found the correct line with those String value. Right click it and select Repeat Advanced. Press ok and let all 5000 iterations run, You can check the progress in Charles. Once done, just reload the game and you should see your new level and millions of coins.